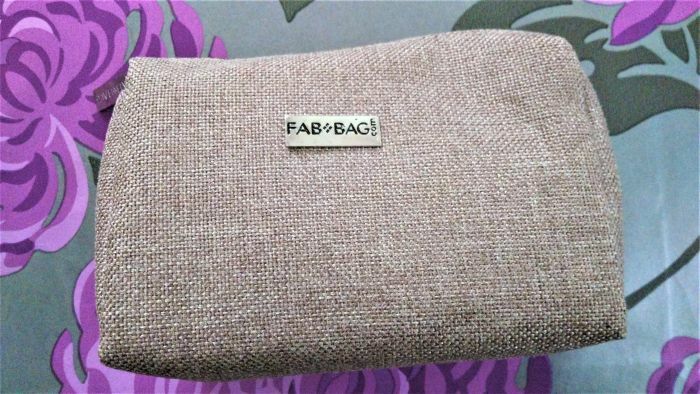 This JUNE FAB BAG comes in a beautiful khaki subtle brown shade with a smooth rough textured feel all throughout. The design is good for a change and looks quite traditional. 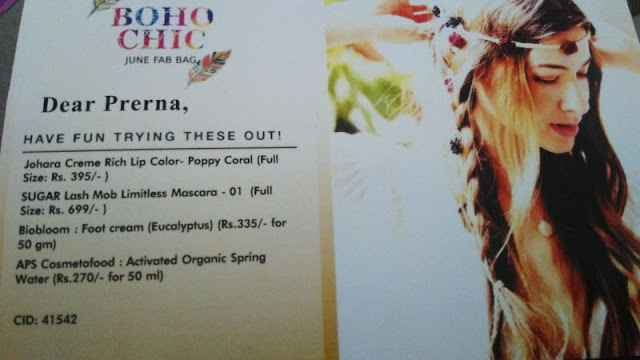 This June Fab Bag reached me just on time on1st June and here I am going to share the wonder goodies of this month with you all. Before going to the product list, lets take a look at this beautiful bag with a traditional touch. There are 4 products this time with one self-chosen product, one from my favorite brand Sugar Cosmetics and one a very unique product, Organic Spring Water for the first time in Fab Bag. 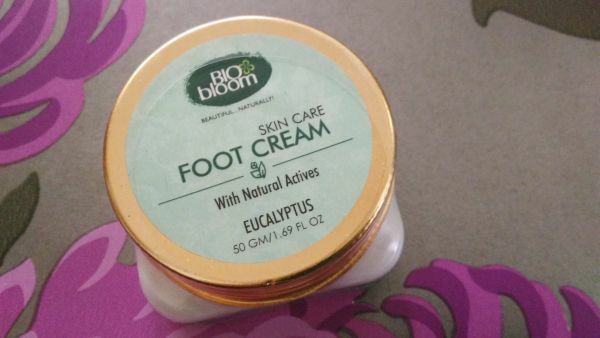 Biobloom Foot Cream Eucalyptus - Rs 335/- for 50 gm. 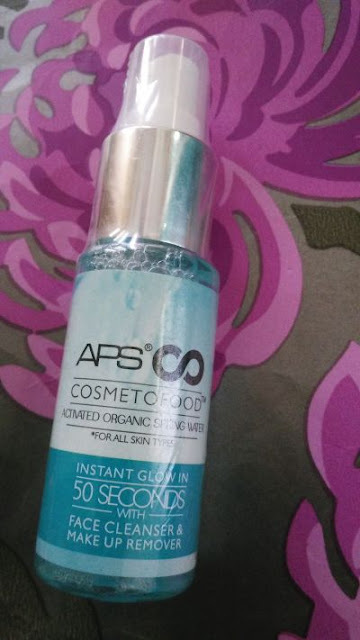 APS Cosmetofood Activated Organic Spring Water - Rs 270/- for 50 ml. As already mentioned about the bag, its color and texture lets move on with the products and details about them. 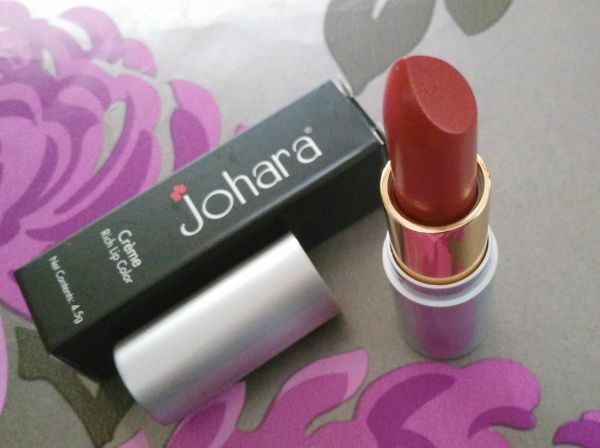 Let me start with the this Johara Rich Lip Color in Self chosen shade Poppy Coral. I chose this one poppy coral which is like a subtle red shade, great for everyday wear casually or formal and goes beautifully with almost every look. 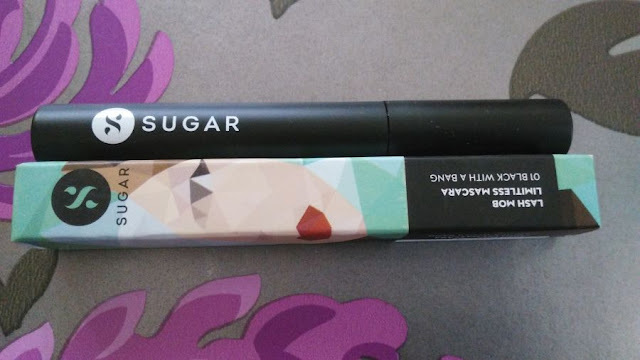 As the name says rich crème color, the lip color appears to be quite moisturizing, thought I haven’t used it properly, but will surely review in detail once I use this. This is my favorite product from the lot since I love Sugar products and the best part being they keep sending their new launches and Fab Bag takes care to send the at the earliest to their subscribers. Most of their products turned out to be fab till now and so appears this limitless mascara in shade black with sturdy packaging and the texture also appears smooth without any clingy feel. This is a foot cream which is very much required to take care of your soft soles in this rainy season. The brand is quite new but the cream contains some amazing herbs like sesame oil, shea butter , cocoa butter to pamper your feet making them soft and smooth. The cream is little on the expensive side but I guess the ingredients in it will surely make it worth. This Organic Spring Water is the unique product of the month and comes in a beautiful spray bottle with the blue aqua touch. It claims to give you instant glow within 50 seconds and I think this would be the best thing if it actually does what it says. I am just waiting to try to this to get that glow on my skin anytime every time. I know you all would be waiting to know about it more, which I will surely put in a detailed review once I experience the beauty of this wonder product. This was all about this month’s June Fab Bag 2017, its products and their uses. I hope you really liked the bag, the review and the products inside. You can also get these products just by subscribing to this bunch of goodies at your doorstep every month. 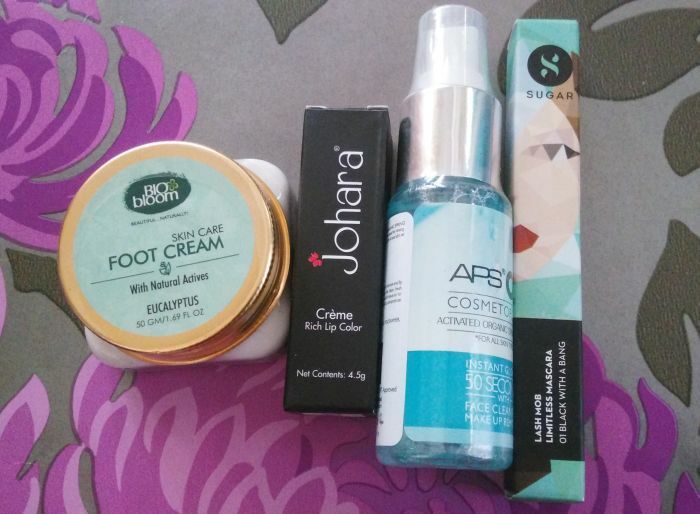 Don't see the boho chic connection much in the products, but you received some nice product mix.